In the following video we will briefly introduce you to the most important functions of XOVI. Xovi offers the most functionality among all tested SEO tools. After creating the first project, you will be introduced to all functions of the software by a quick tooltip tour. Every function is explained either by text or a short video. Beginners and single-page operators are indeed confronted with a very high learning curve, but this is cushioned by help functions, free webinars and excellent telephone and e-mail support. Immediately after the registration, we were called by the customer service, who wanted to show us all functions of the program - a really great support! 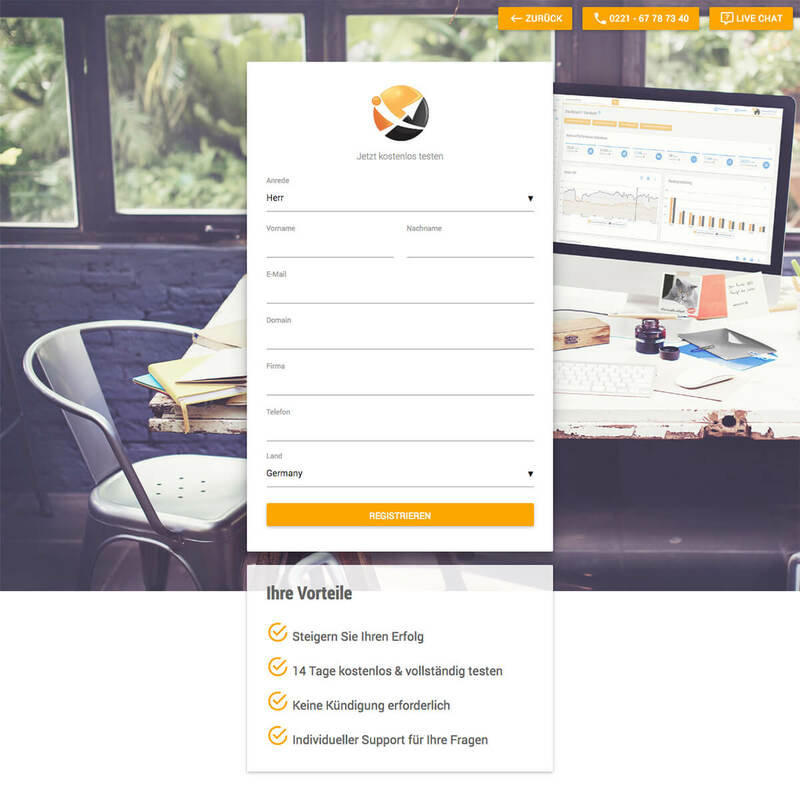 The free trial version features the full functionality of the tool for up to 14 days (only some features are restricted to a limited number of results, i.e. keyword tracking) - this should provide enough opportunity for a complete and efficient optimization of the page. 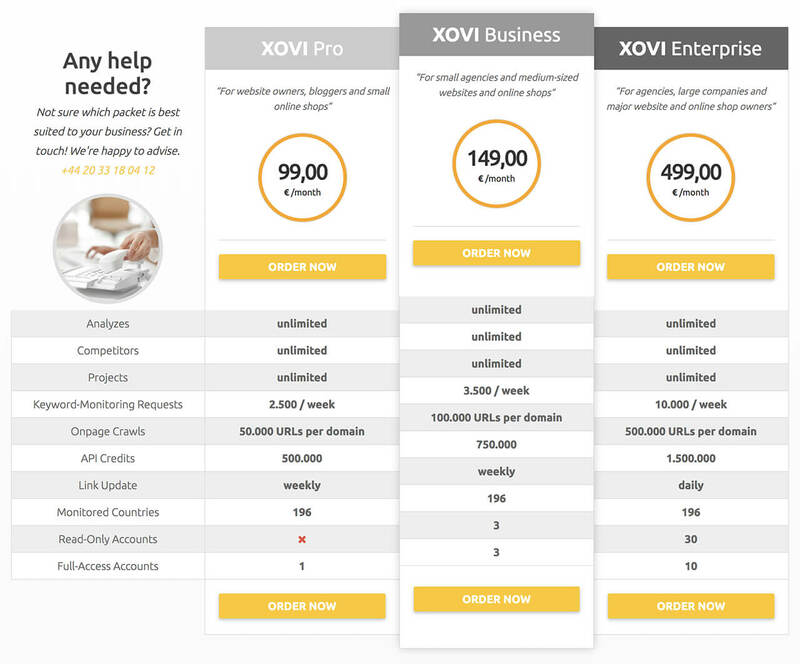 Xovi is a comfortable SEO solution with maximum functionality for agencies and companies. As you can buy additional packages as required, the costs can be adapted very well in accordance with the requirements. 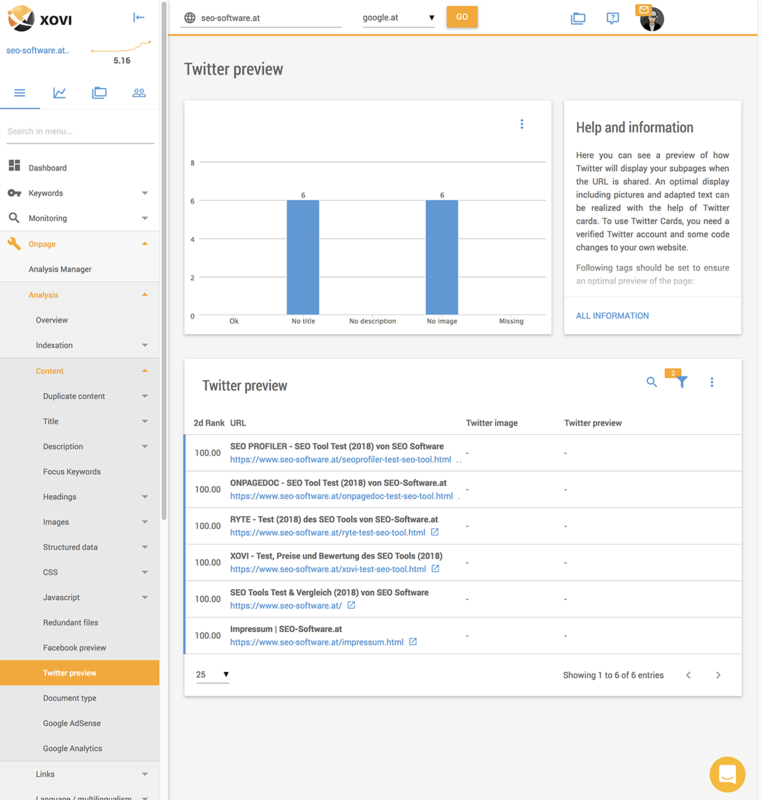 In addition to a simple and intuitive user interface, Xovi offers professional customer reports including its extensive social media monitoring capabilities. Xovi offers the largest scope of services and is a reliable solution for those who want to operate search engine optimization holistically and professionally. 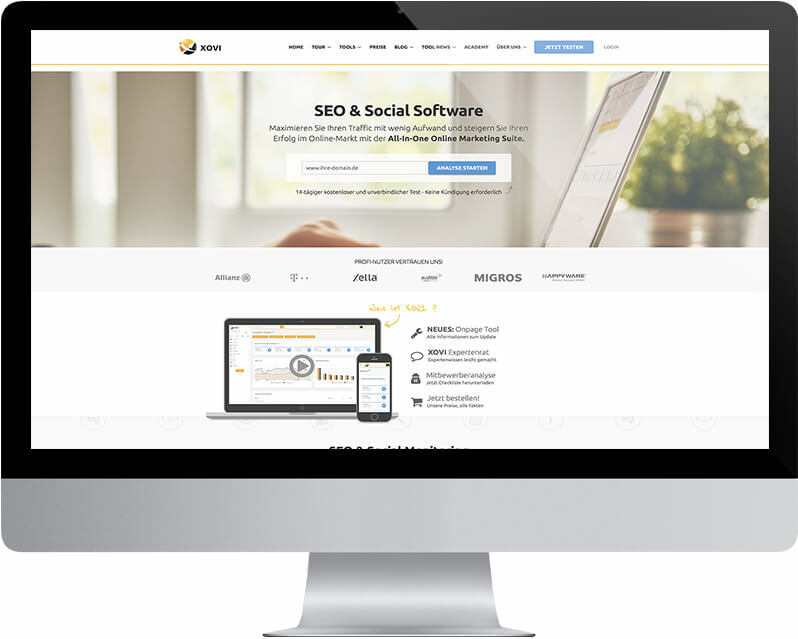 Xovi is one of the most comprehensive SEO tools currently on the market. From daily keyword rankings to social media monitoring, to phone support and free webinars, it's an excellent tool for all user groups. If you want to use the free 14-day trial account, you can request it using the form. You will be unlocked after a manual check by Xovi, which is confirmed by an e-mail with access data. This usually happens very fast. As part of the registration, you will be asked to enter domain data and contact details. 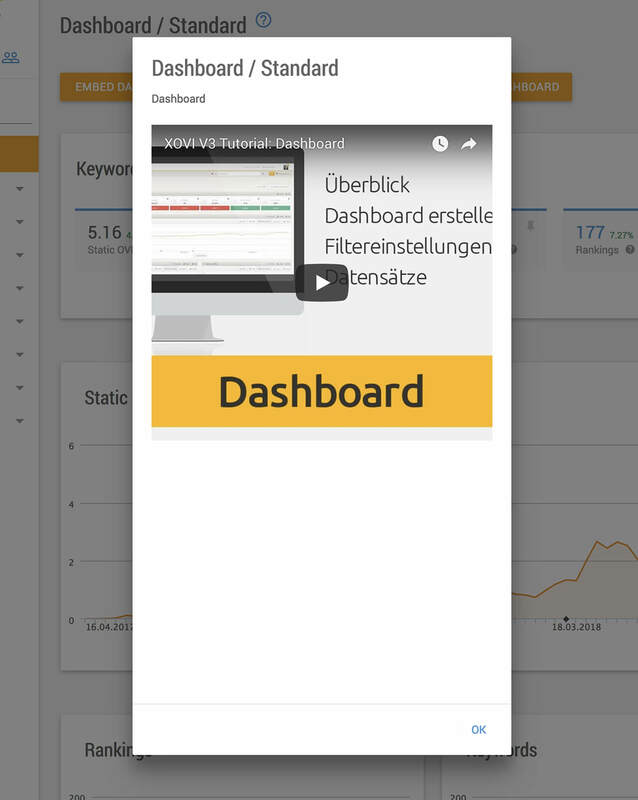 After completion of the first onpage analysis, the dashboard will be displayed listing all results in a clear overview. The Static OVI (Online Value Index) is a value that demonstrates the visibility of a domain within the selected search engine. It is made up of 500,000 keywords and contains keywords with a cross section from the most diverse areas such as shopping, travel, finance, insurance, education, health etc. The page menu contains all selectable areas in a horizontal as well as a vertical arrangement. The horizontal menu items deal with the topics PERFORMANCE INDICATORS, PROJECTS and USERS and have administrative character. The vertical menu guide lists the actual tools for search engine optimization. By clicking on a menu item with an arrow, submenu items are uncovered. For the daily tasks of search engine optimization, the menu items KEYWORDS and MONITORING are important, but for the first optimization you should start with the menu item ONPAGE. ANALYSIS MANAGER lists the analyzed projects. In the OVERVIEW menu item in ONPAGE ANALYSIS, you can find an overview of the results of the analysis, including the current optimization level. By clicking on the links highlighted in blue, you can access the corresponding detailed results of the topics. 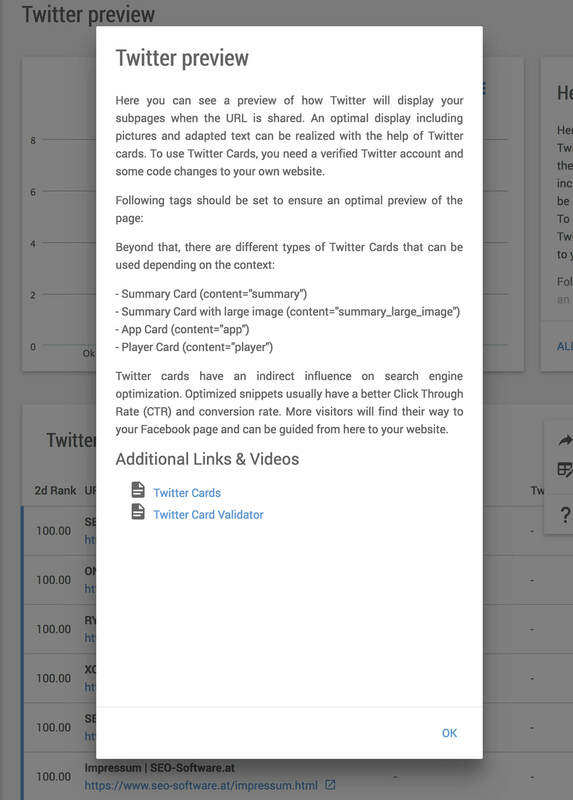 For example, the detailed results page TWITTER PICTURES is shown below. Clicking on one of the blue links will open another detail menu for more information. There is a menu symbol with 3 vertical dots next to each headline as well as on each card. When clicked, a help text or help video for the respective topic is displayed. Following the instructions and explanations, errors can easily be found and corrected. Once you have worked through the onpage analysis and corrected all the errors, you have created the optimal technical basis for a high ranking in the search engines (but still, content is king!). After onpage optimization, the next step is offpage optimization. The menu item LINKS is available for this purpose. 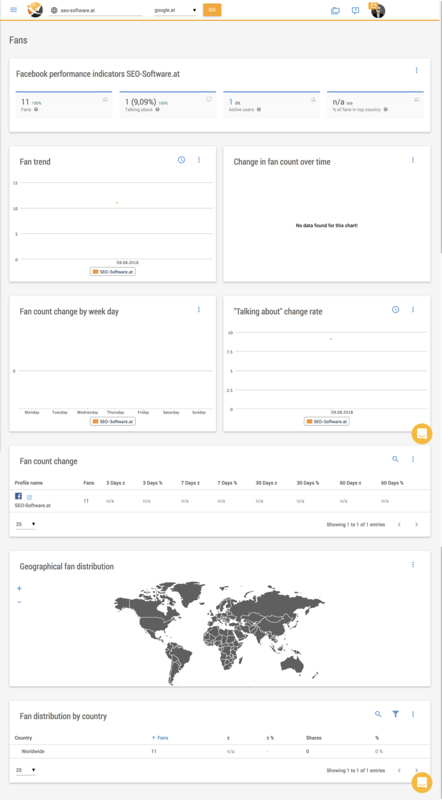 By clicking BACKLINKS and OVERVIEW you can see the current backlink report. By clicking on one of the topics you will get more detailed information. 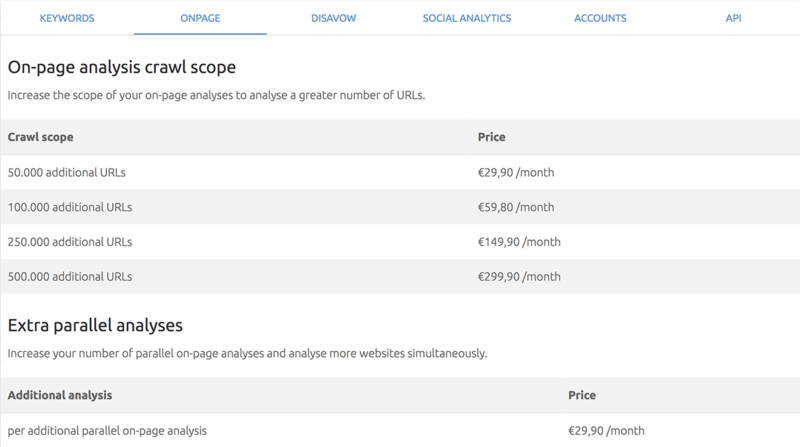 Disadvantageous links can be removed with the DISAVOW tool. 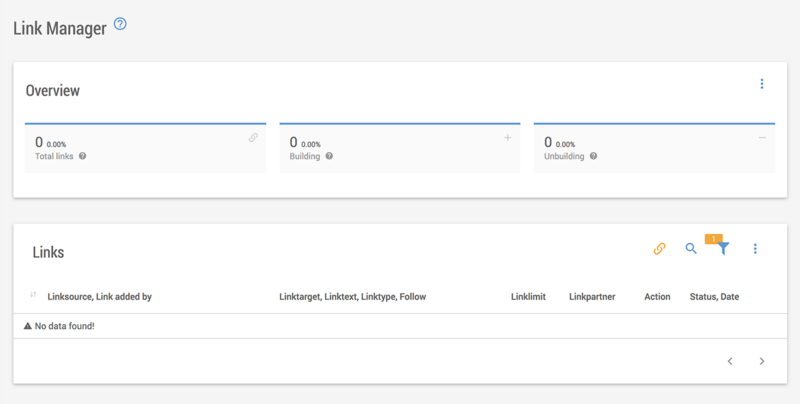 LINKMANAGER monitors all links and provides its status as well as posssible actions. 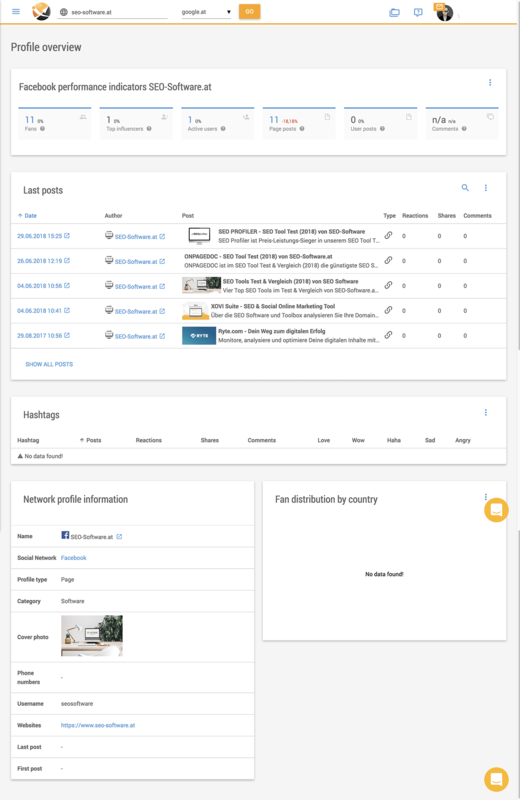 There you can keep track of requested links from link partners and efficiently manage and edit your open link sources. Of course, the link manager is empty at the beginning. New links can be created by clicking on the yellow chain symbol. After completion of onpage and offpage optimization, routine tasks such as keyword monitoring can be started. Keyword analysis can be used to check the progress of individual keywords. If keywords have already been created, they will be checked on an ongoing basis and displayed clearly at the top of the DASHBOARD or in the OVERVIEW of the menu item KEYWORDS. By clicking on one of the values highlighted in blue, you can open further detail results for the respective topic. In this way, you have constant control over the respective ranking of your keywords and can respond quickly if devalued. 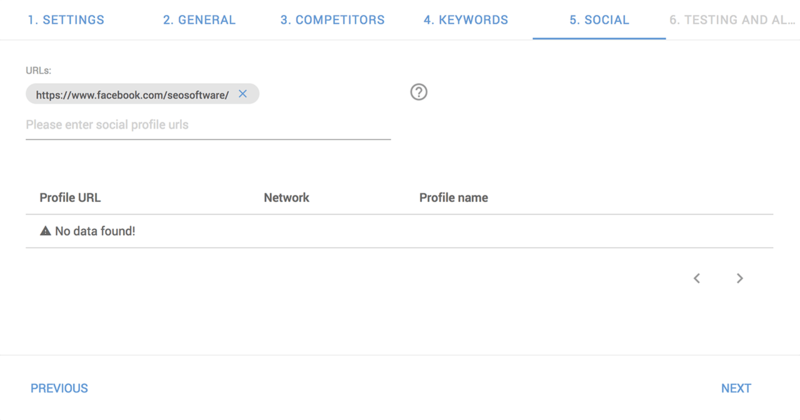 If individual keywords are not recorded yet, you can create them individually in the MONITORING menu item and have them checked for the respective page. In addition, data can be called up to check the development of a keyword. All results are displayed for both desktop and mobile searches on smartphones and tablets. Special mention should be made of social media monitoring in Xovi, which offers the most comprehensive tool of all tested SEO tools. Here you can check the development of posts as well as followers of the different profiles. 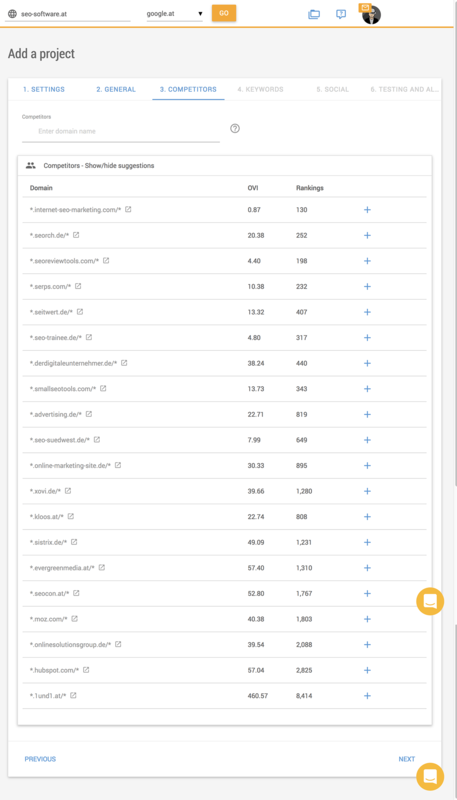 The free 14-day trial version includes all features of the paid version with some minor restrictions as the number of monitored keywords is limited. 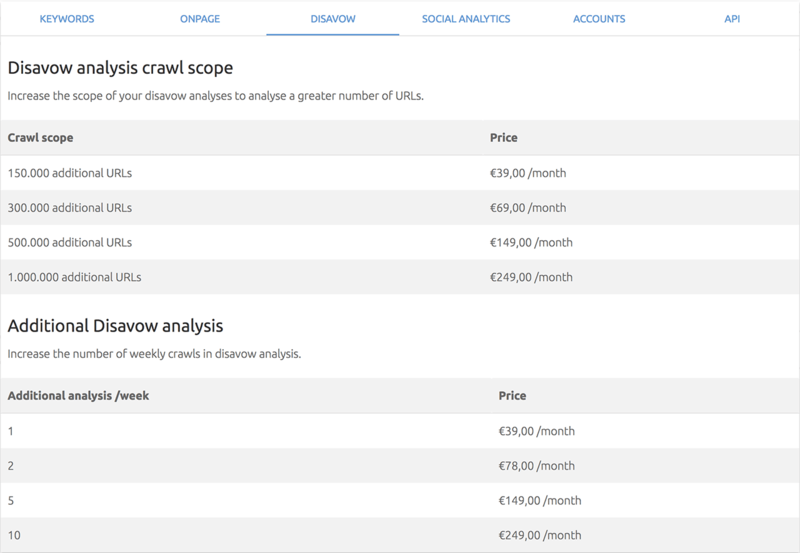 The paid versions are available in several packages, which can be flexibly booked if required by purchasing additional packages (such as more crawls or social media analyzes).